Welcome to CTCs New2Tri Training Program! The program starts formally on Monday 4th, however you may already be activity participating in sessions already. 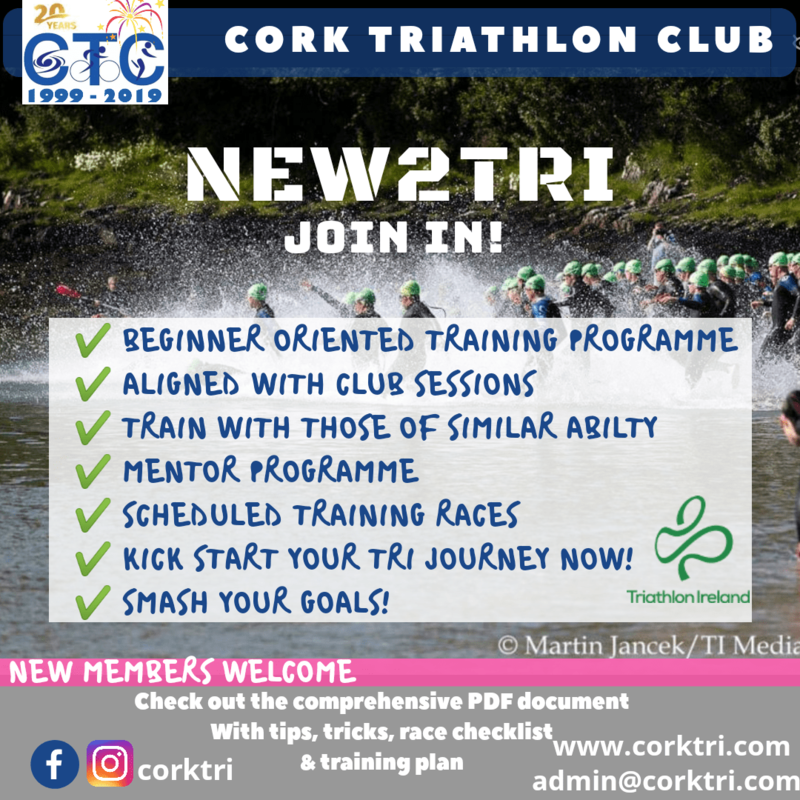 Have a read of the attached training plan, check out the TI Event calendar and set yourself a Tri goal by signing up for an event. All you need to do then is dig in, show up, get the work done and enjoy the journey! One swim session will be posted here weekly, so make sure to check in often. Happy training! Swim Drills are a great way to improve technique. When done properly and slowly, build muscle memory, so you continue to swim well when tired. Week 11 onward – return to week 1 and repeat, stepping up to the longer sessions. Last season, Adam Doyle of DT Fitness held a running workshop for us, here is the material he shared which we worked through during the session – magic stuff, take a look!